This week we honor Izic Mackey of the Alburnett Boys Basketball team as the Sheet Metal Workers Local 263 of Eastern and Central Iowa Athlete of the Week! Mackey, a senior, helped to lead Alburnett to their first appearance in the Boys State Basketball Tournament. Mackey led the Pirates in points per game for the season and scored the game winning points in the Pirates semi-final win over Remsen St. Mary’s. He was also named to the Class 1A All Tournament team along with teammate Hunter Caves. 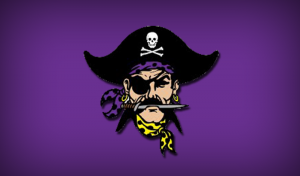 Congratulations to Izic Mackey of Alburnett…our Sheet Metal Workers Local 263 of Eastern and Central Iowa Athlete of the Week!